You say something at a meeting and it is ignored; then when someone else says the same thing, everyone embraces it as a marvelous idea. You devote yourself to a project, but don't get credit for the results. You give what you think are clear instructions, but the job is not done, or done wrong. Sometimes it seems you are not being heard, not getting credit for your efforts, not getting ahead as fast as you should. Now, Deborah Tannen brings to the workplace the same voice, eye, and insight that made That's Not What I Meant! and You Just Don't Understand bestselling classics. 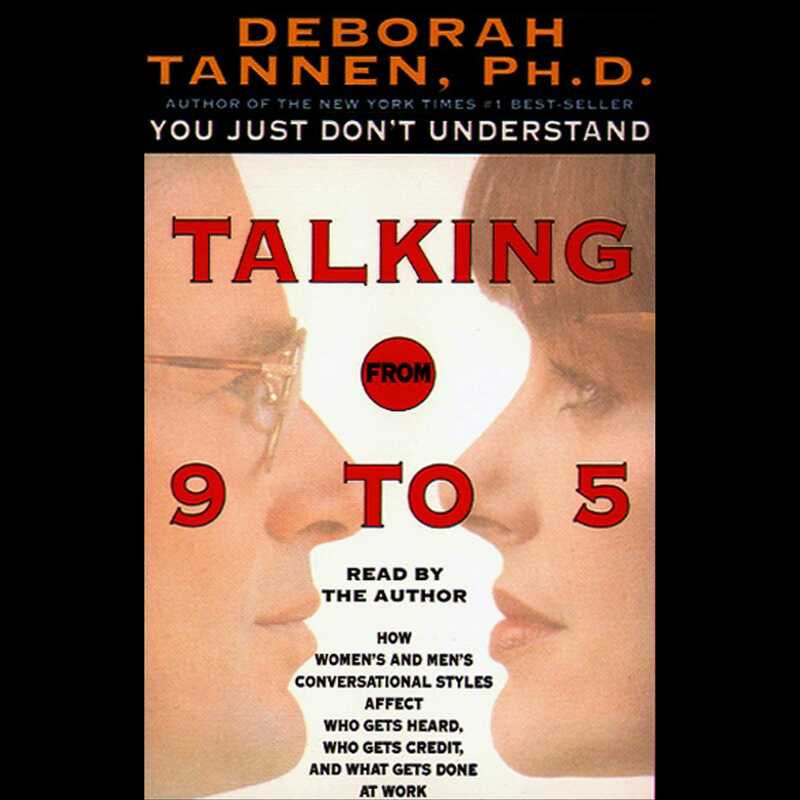 In Talking From 9 to 5, she explores the special world of work -- where we spend countless hours with people we may not understand or even like, and where the way we talk determines not only how we get the job done, but how we are evaluated for our efforts. Offering powerful new ways of understanding what happens in the workplace, from the simplest exchanges to the complex contemporary issues of the glass ceiling, Tannen explains a variety of conversational styles and reveals how each of us can develop the flexibility and understanding we need. Since the publication of You Just Don't Understand, Tannen has been told over and over, "Your book saved my marriage." Talking From 9 to 5 will have the same dramatic impact on those who are struggling with co-workers, jobs, and companies, and will help entire companies as well as individual women and men thrive in a working world made up of increasingly diverse workforces and ever-more competitive markets.